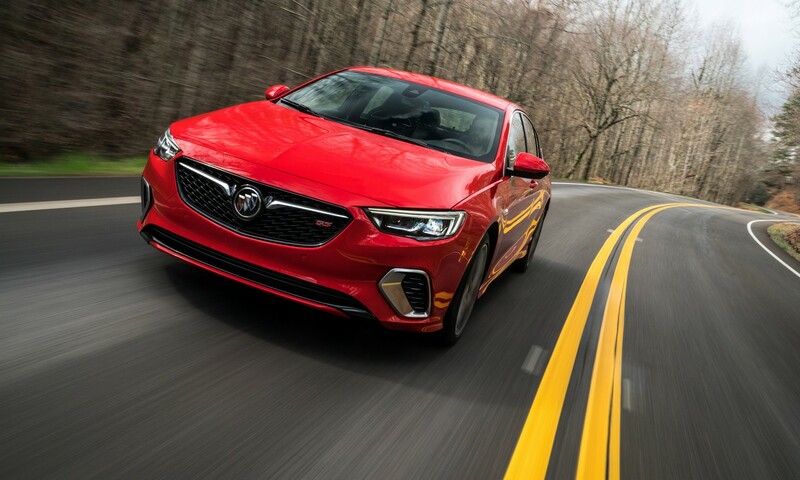 The nimble 2019 Buick Regal GS (pictured above) uses a 3.6-liter Direct Injection DOHC VVT V6 engine to produce an impressive 310 hp and 282 lb-ft of torque. That’s more than enough to get you there on time in comfort and style. On the muscle side of the equation, the hefty GMC Sierra HD (pictured below) puts out a tremendous 445 horses, thanks to its expertly-engineered 6.6-liter Duramax Diesel engine. With that much power behind you, where couldn't you go? The 2019 Buick Enclave comes standard with a 3.6-liter V6 SIDI VVT engine capable of propelling this three-row luxury SUV over mountains and down the interstate with ease, as well as producing up to 310 hp and 266 lb-ft of torque. Not only can you seat up to seven passengers comfortably on the inside, but you can also tow up to 5,000 lbs. That’s a boat or a couple of jet skis on a trailer, (AKA "an incredible way to spend the weekend"). But what if you don't care about moving things over a mountain? What if you want to move the mountain itself? Then once again, the all-new Sierra HD is here to the rescue. 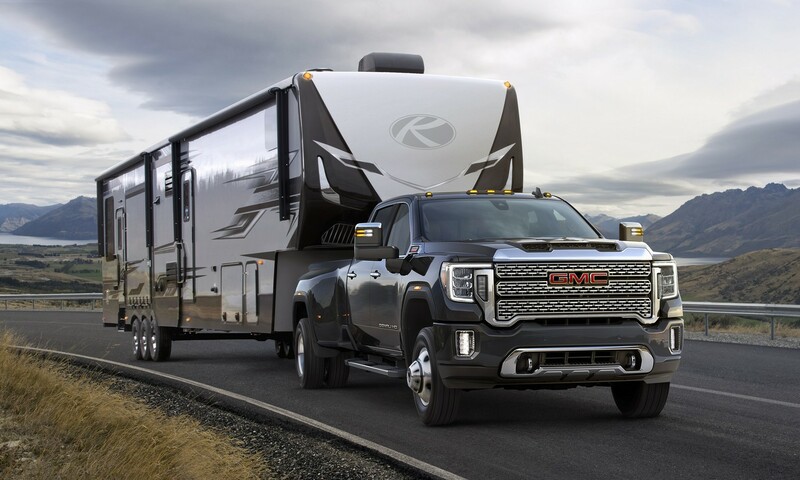 That powerful Duramax engine combines with high-strength in the fully-boxed frame rails and major frame cross-members, as well as cutting-edge towing technology, to offer a maximum towing capacity of an astonishing 23,100 pounds when properly equipped. To be clear, that's about as much as the total vehicle weight of four Buick Enclave SUVs. 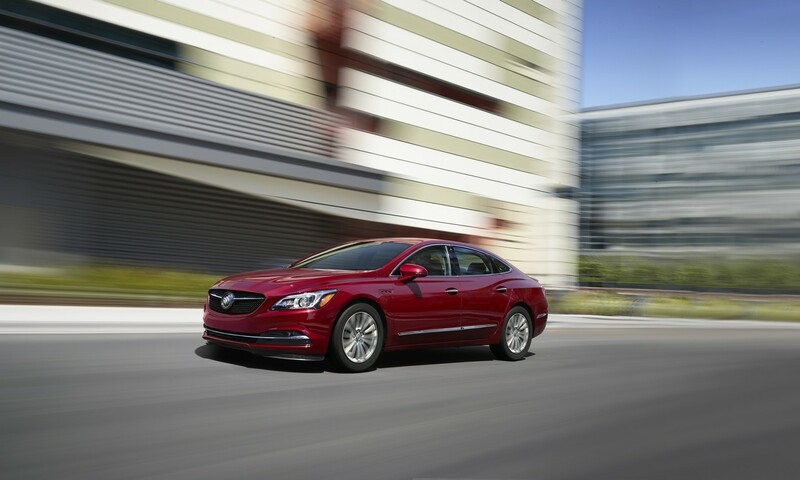 The 2019 LaCrosse (pictured above) combines a 2.5-liter 4-cylinder engine with Buick’s revolutionary eAssist light electrification technology. This modern marvel puts out an impressive 194 hp and 187 lb-ft of instant torque. What’s really impressive is that this luxury sedan cruises down the highway with an EPA-estimated 35 mpg. * The future is now. These are just the top models on our list, and there are many more feats of strength from both GMC and Buick we would love to tell you about. So come see us at 3 Birds Linking or contact us to learn more about the powerful options we have in our showroom. * All figures are EPA estimates and for comparison purposes only. Actual range and mileage will vary with options, driving conditions and habits, vehicle and battery's condition and other factors.